A couple of months ago I received one of those emails that shares a list of tips. The one that amused me the most stated. 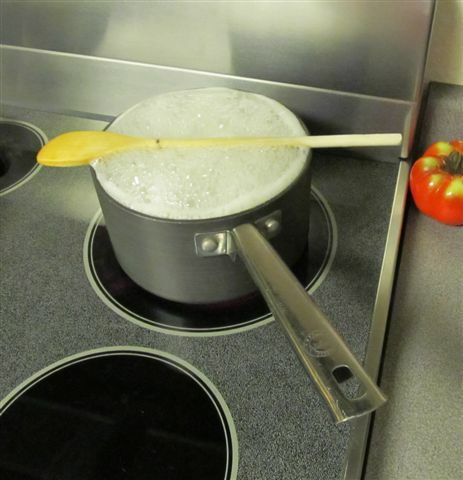 "A wooden spoon laid across the top of a pot will keep it from boiling over." Now, I have been a homemaker for over 40 years (I cooked real food for at least 30 of those years) and I had never heard this one. So I tried it and it worked! This pot had pasta in it and I often end up with a mess on the stovetop from the boiling pot overflowing. But this one did not overflow no matter how long it boiled and how little I babysat it.